TROUT UNION CUP 2018 – AUTUMN EDITION INVITATION. Fishing tackle retail and wholesale in Europe (EU) - Angler's Zone. Since 2013, when project called Trout Union started more and more nations and teams figure out our objective what bring us now, 5 years later to a totally new level. Dimensions of Trout Union are huge and on last 3 cup’s we had a fight, a fight against nature. Our discipline is like that, our time is spring and autumn when we have best conditions, but also with it, we take huge risk, risk of flood and torrents what can our conditions badly turn over night. We are aware of it, we all take it but for sure objective is minimize risk much as possible. 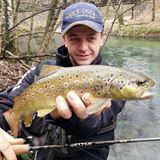 As we had bad luck and timing last times, now, at the beginning of trout season 2018. it is not much odds that we will have spring time and conditions as usual. Europe is covered by huge levels of snow and sure we can expect torrents and floods during April, on Trout Union time. According to it, Trout Union organization committee don’t want to take that huge risk and as only solution, autumn time can be accepted as preferable. Autumn time, as only option now, sure can give us better conditions and organizers will give all strength to provide all objectives and ideas of Trout Union. According to it, now, with this Invitation letter we call all teams and nations to join us again on Trout Union Cup which will be organized during August or September. Invitation is also for organizers to connect with us about possible organization of Trout Union cup in their place and on their river(s). All material and nominations, also as all questions can be send by e-mail: matijasic.mario@gmail.com ! Main Trout Union rules will not be changed, prices and rewards are ensured and our task is clear. More information to all be given by Invitation and Proposition documents at least 3 month before calculated date of the event. 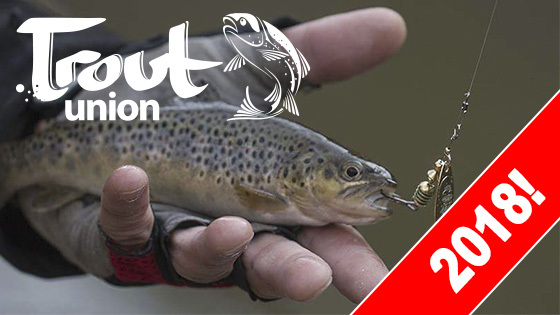 See you at Trout Union Cup 2018 – Autumn Edition!! !